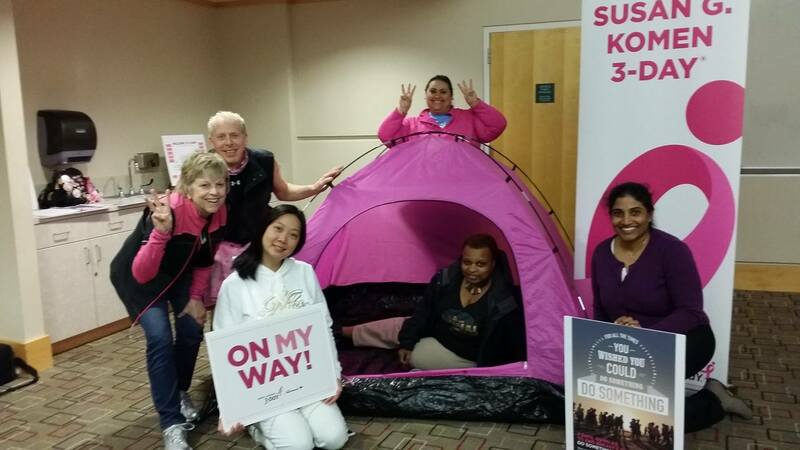 April was a busy month for our Susan G. Komen 3-Day® coaches, who were pounding the pavement at meet-ups and training events, meeting and inspiring walkers for the Komen 3-Day events coming up in just a few months. 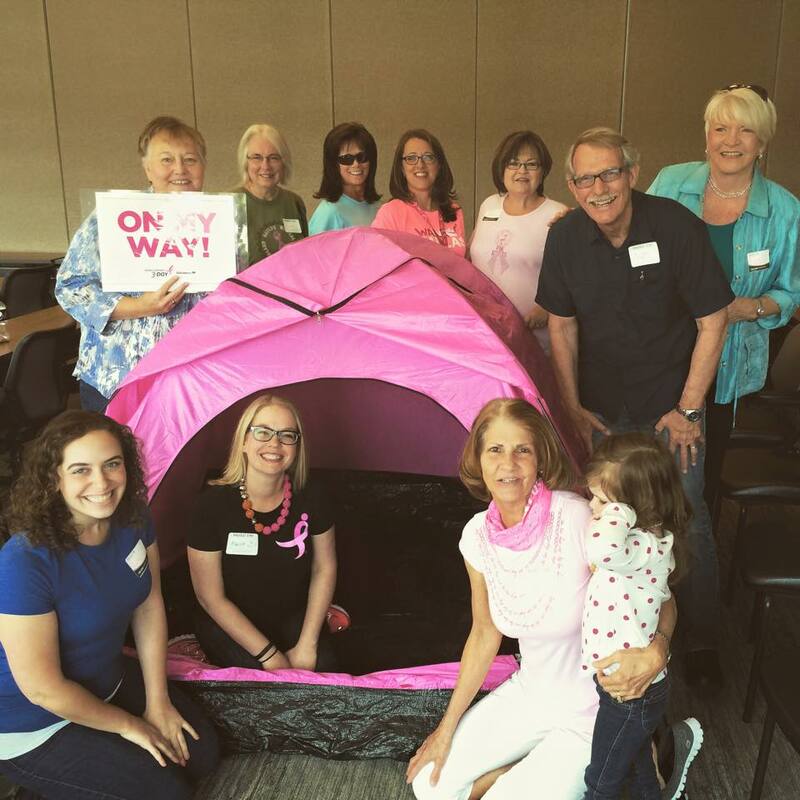 Let’s see some of the fun and inspiring local events that our 3-Day® family held in April! 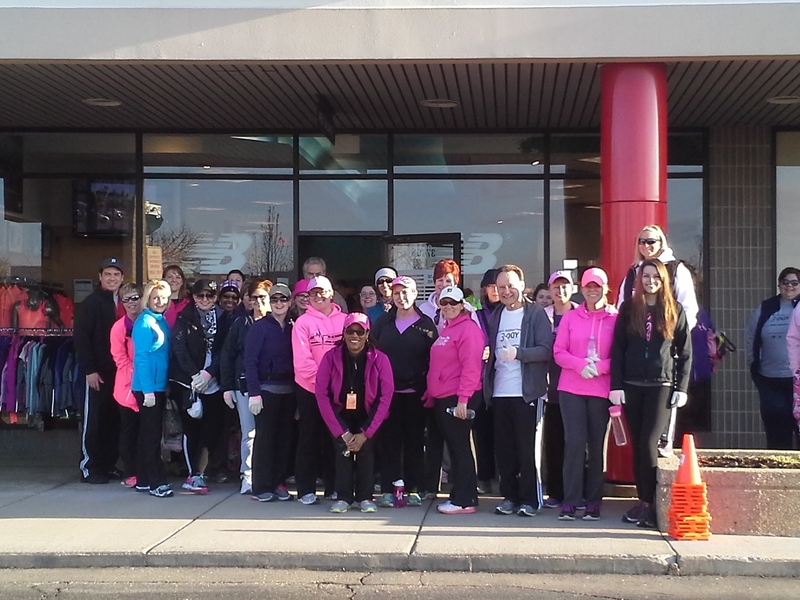 On Saturday, April 11, walkers and crew members gathered at the New Balance store in Farmington Hills for the Michigan 3-Day 16-week Training Kick-Off Event. A beautiful (if slightly chilly) morning saw nearly 40 walkers head out on a 4-mile training walk, while crew members patrolled the route on their bikes and motorcycles. We even had a cheer station and a sweep van! After the walk, participants enjoyed some snacks and shopping. 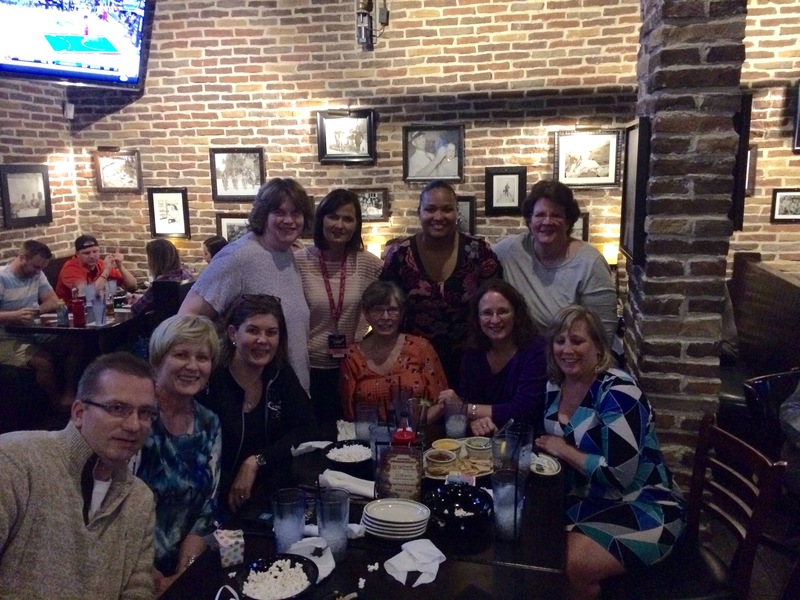 Twin Cities 3-Day coach Stephanie hosted a walker and crew Meet-Up on April 1 at Lucky 13 Restaurant in Bloomington. Five new walkers attended and got lots of great tips from our veteran walkers and crew. 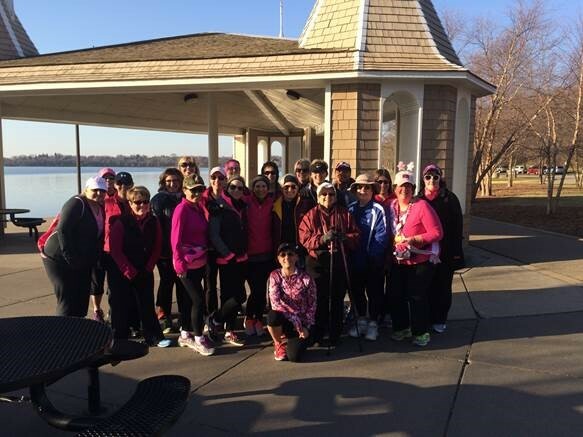 Springtime temps brought these 21 walkers out on April 11 for a Walk & Talk with Coach Stephanie. They enjoyed a 6.5-mile walk around Lake Harriet and Lake Calhoun in Minneapolis (part of our Day 1 Route). 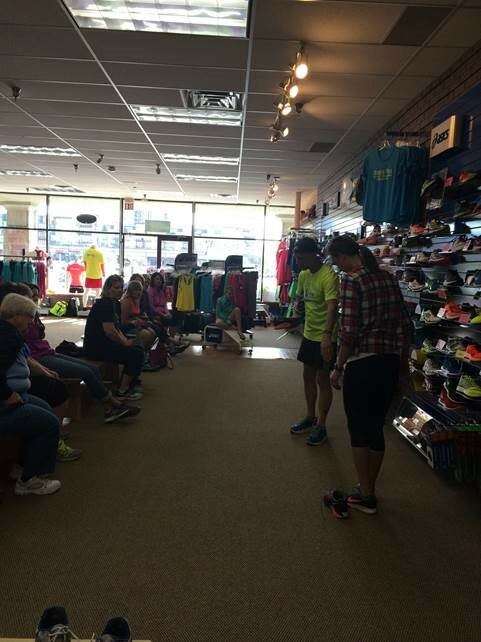 And in keeping with the training spirit, Twin Cities walkers enjoyed a Get Trained Workshop on April 18, hosted by Run n’ Fun, one of the Twin Cities’ local outfitters. Proper shoes are the most important pieces of equipment walkers will need on the 3-Day, so workshop attendees learned about proper shoe fit based on their own body mechanics, and learned that not only is comfort the key but also how the right shoe helps to prevent injuries. At an April 2 Get Started Meeting at Redmond Library, long-time Seattle (and other cities!) walker William Kline attended in full walking gear—his signature look. He was joined by a few brand new walkers and Tath, a very active training walk leader in the Lynnwood area. 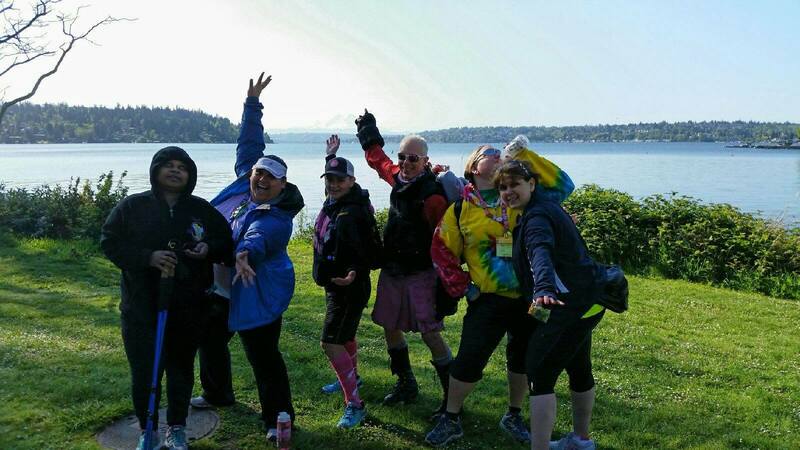 On April 18 at Seward Park, Seattle 3-Dayers met up for a Walk & Talk with Coach Aubrey. They looped around the peninsula, which offered 2.5 miles of Lake Washington and Mt. Rainier views. The walker on the far right (Tina Marie B.) came all the way from Oregon to walk with the group! 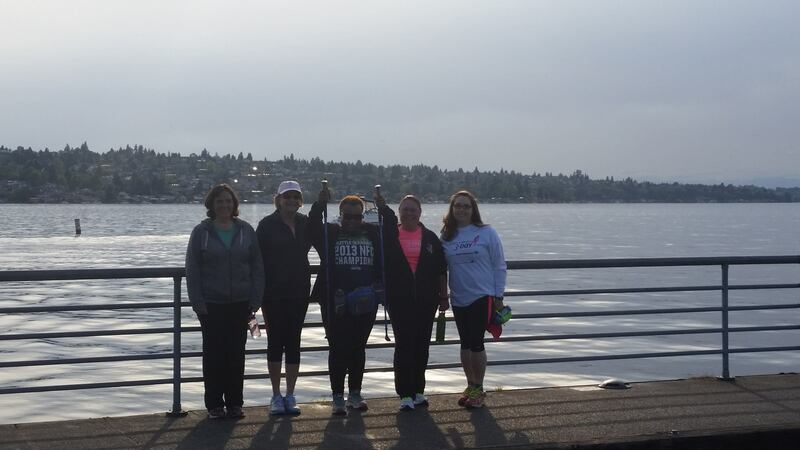 Another Walk & Talk, held on April 30 in Renton, included a 2-mile out-and-back along Lake Washington. 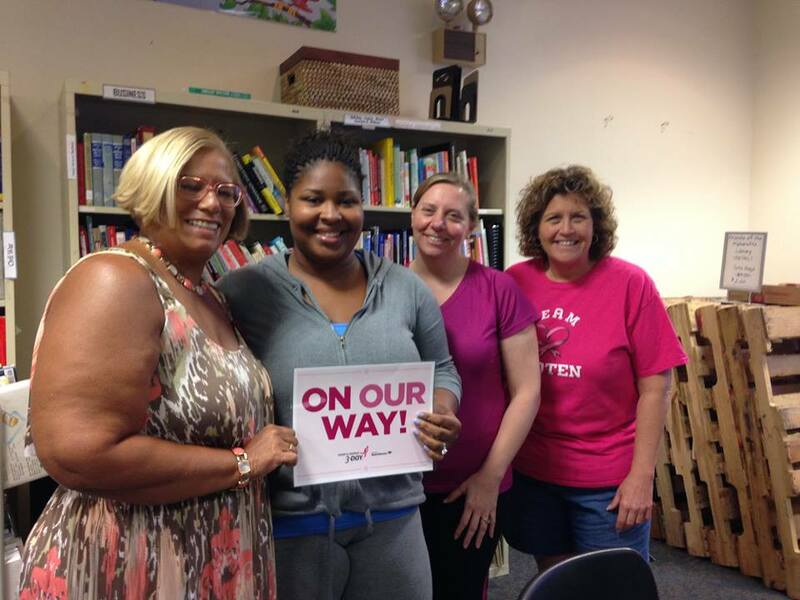 The group included two members of the Breastketeers and three first-time walkers. Over 30 Philadelphia 3-Dayers met up on April 18 at the Philly 3-Day 24-week Training Kick-Off. 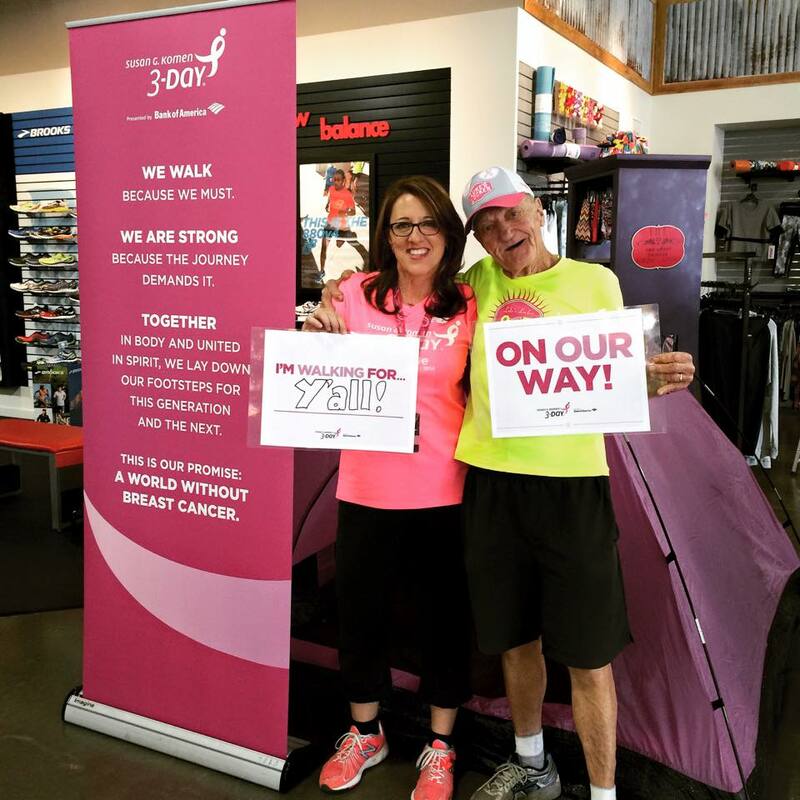 Hosted by the New Balance store in Cherry Hill, NJ, the event included a training walk and some great how-to demonstrations for packing gear and pitching a perfect pink tent. A great day! 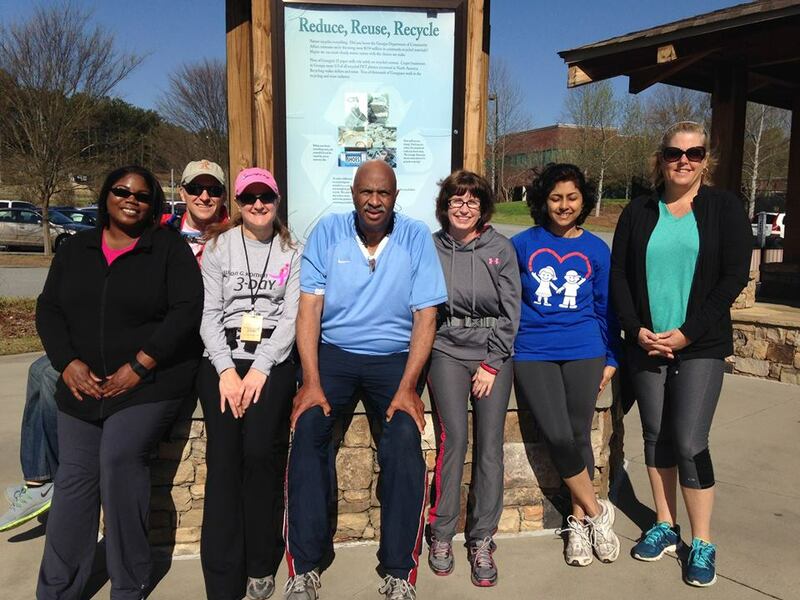 The Atlanta 3-Day folks had their first Walk & Talk of the season on April 4, with wonderful training walk leader Coleen and 5 new walkers. It was a beautiful day, and it was great for these enthusiastic walkers to get some walking shoes on and meet some new friends! 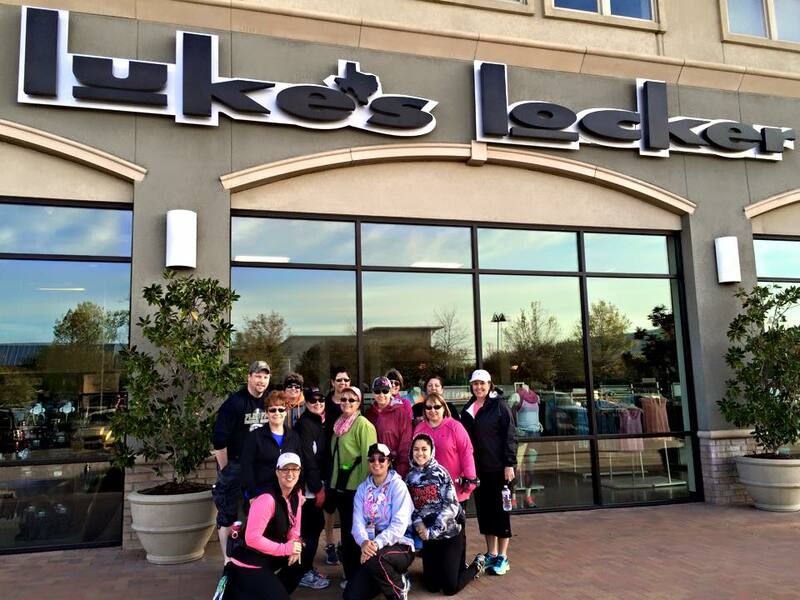 At a Dallas/Fort Worth 3-Day meet-up on April 2, Coach Gayla was joined 80-year-old veteran walker and extreme fundraiser, Ralph M. He helped welcome and inspire other walkers at Luke’s Locker in Highland Village. 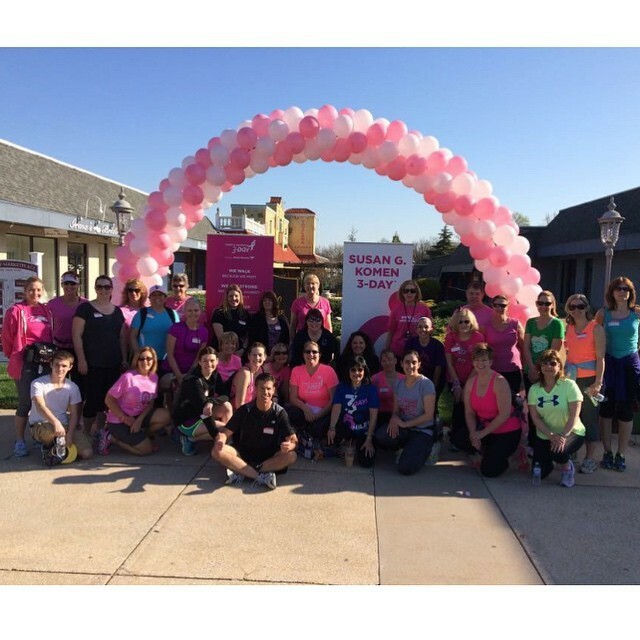 Gayla was back at another Luke’s Locker location on Saturday, April 4 for a Walk & Talk, accompanied by training walk leader and team captain of Angels for the Cure, Debby R. as she led a 3-mile training walk. April 11 was a busy Saturday for Dallas/Fort Worth 3-Dayers, starting with a 3-mile Walk & Talk with training walk leader Sheryl C. and many members of team STEPS in Plano. Later in the day, the Get Started Meeting at Methodist Hospital in Richardson drew a crowd of brand new walkers who were encouraged by amazing team captains and veteran walkers. 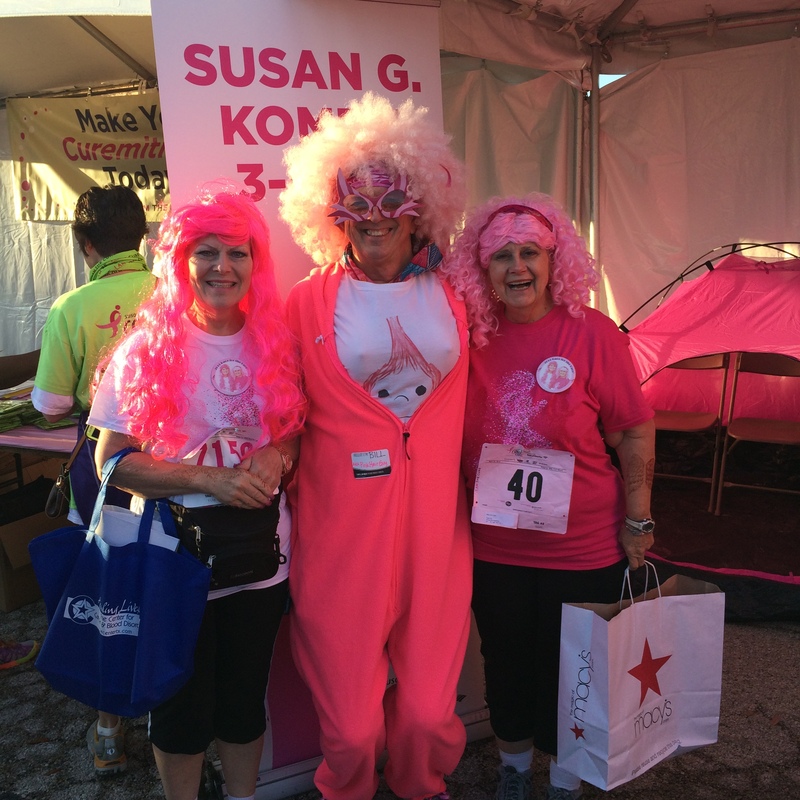 The Greater Fort Worth Susan G. Komen® affiliate held its Race for the Cure on April 25, and the Komen 3-Day community was well-represented (there were many more walkers not in the photo). Even folks who weren’t walking or running in the race were still showing their 3-Day spirit as volunteers (Pink Hair Guy is a popular photo op every year). April was actually a quiet month in San Diego, in terms of local events, but things will ramp up in May. (Next month’s Round-up will include some great shots of the San Diego 3-Day reunion held on Saturday, May 2…stay tuned!). If you couldn’t make it to a meet-up in April, don’t worry! There are still local events for every 3-Day city in May, and more and more training walks are being added every day. Visit the 3-Day website to find a local event near you.